Just a quick entry to show off some of the new products we have in stock on the web and in the store. Let’s start with Goldie Blox’s latest entry into their market: Goldie Blox and the Dunk Tank. Like other entries in the Goldie Blox series, this engineering kit teaches basic principles for children aged 4-9 while also telling a story that girls can follow and learn. Goldie needs to get her dog Nacho clean. Trouble is nacho hates water and loves being a dirty dog. After many tries to get Nacho clean, Goldie finally comes up with the perfect contraption. As kids read along, they help Goldie build a dunk tank (and learn about hinges and levers) to get Nacho clean. All parts with tis set work with piece from the other parts of the Goldie Blox series. In this entry students learn about hinges and levers! 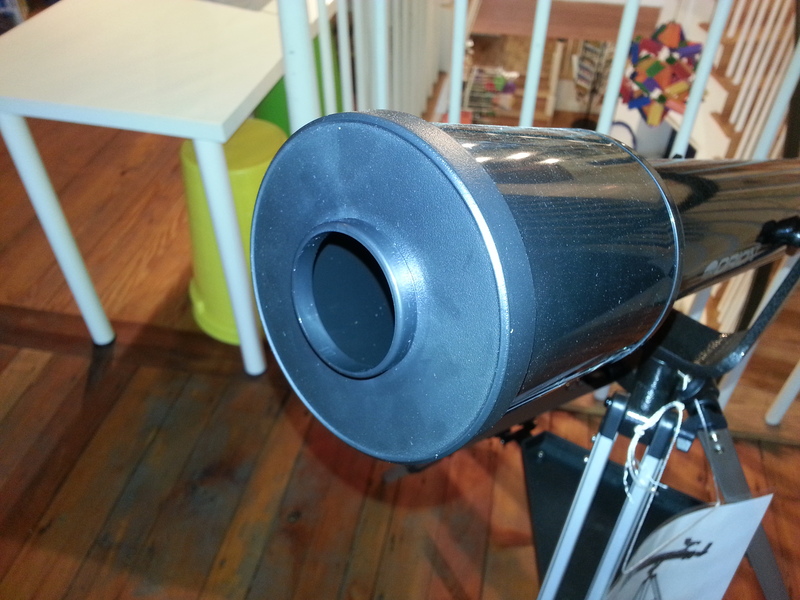 The odder features of telescopes, or what does *that* do? In theory, telescopes have fairly straightforward designs, and even if they do not (such as with equatorial mounts) the instructions usually have some helpful information on how to use it. But over the years we have noticed that there are some features to telescopes that the instruction manual does not cover very well. There is actually a bit of a historical reason for this. Telescope manufacture tends to be a bit imitative. So when one country tries to start up an industry it find the best thing to do is imitate the last manufacturer’s product. This means that features that aren’t really used much any more are continued, sometimes just for their own sake. But that does not mean they are useless! 1) Why does this telescope have two caps and openings? 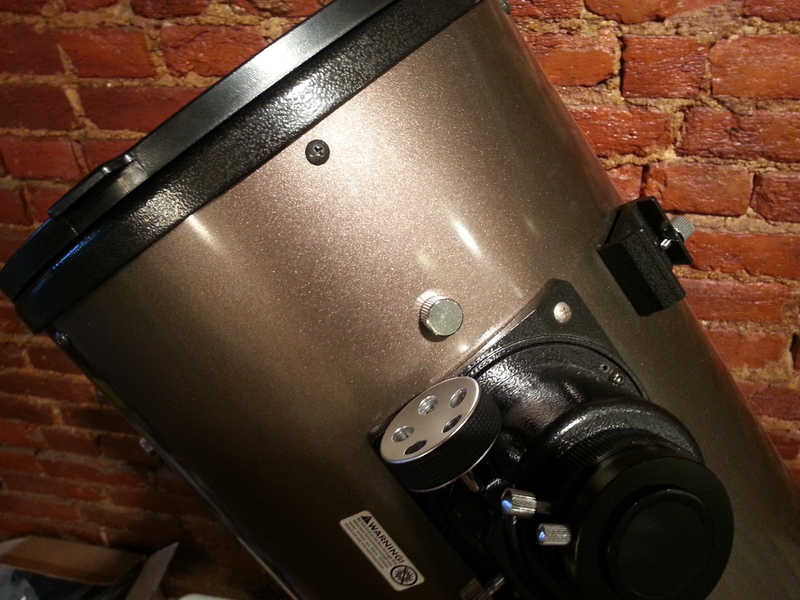 Many telescopes, usually refractors, may have a double cap system on the cover for the lens. One cap comes off to reveal a small opening, while removing the entire cap exposes the entire lens for astronomical viewing. So why this double system? Two reasons: the smaller opening can act as a “budget moon filter” by letting in less light from bright objects. The reduced aperture is handy for viewing the Moon as it can be very bright – almost painful to view! Reducing the aperture can also be handy in the telescope gets used for terrestrial viewing. The other reason is probably not official. Sometimes lens caps can get stuck on the telescope tube, and by removing the small cap you can stick a finger into the cap and get a better grip on the cap. 2) What are those knobs on the outside of my reflector near the opening for? So you are looking through the eyepiece on your reflecting telescope and you notice this shiny, attractive thumbscrew next to your focuser. Its so tempting! What it is for? 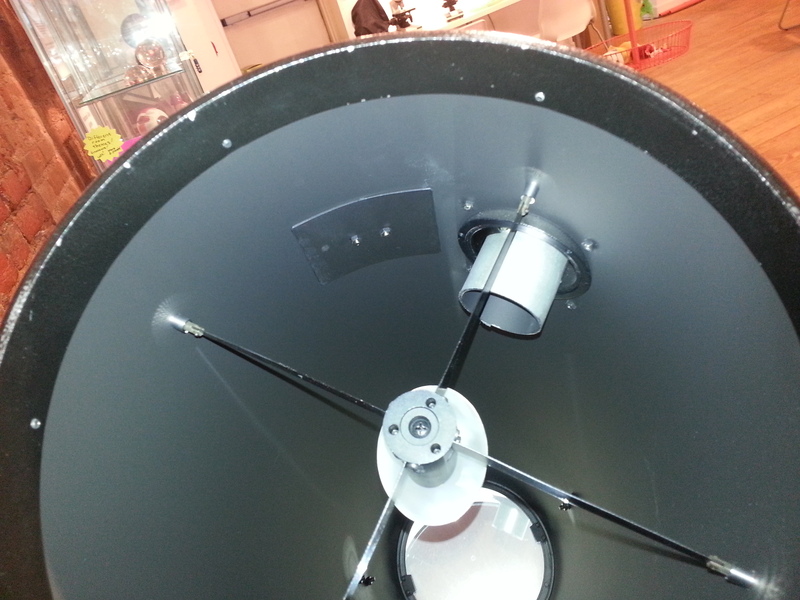 The answer is that it holds the vanes that hold your reflecting telescope’s secondary mirror in place. it is not a good idea to turn them or twist them as it may mess up the alignment of your secondary mirror. 3) What does ‘rich field’ mean when talking about a telescope? This is a term that gets tossed around when discussing telescopes and the answer is fairly simple: As you increase the magnification of a telescope (how much it makes thing bigger) you decrease the field-of-view (how much you see). 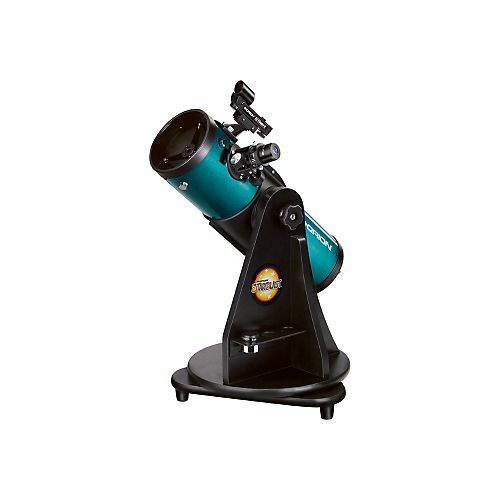 Since magnification is determined by the focal length of the telescope’s mirror or lens divided by the focal length of the eyepiece you can see how the design of the telescope comes into play when determining magnification and field of view. With this kit, kids will use the colorful reactions of acids and bases on litmus paper to learn about the pH scale. You can even draw with the colorful reactive litmus papers you make. Its a great intro in the world of chemistry and fun for kids as yougn as 6 years old. Bacteria Farm allows students to cultivate 12 different kinds of bacteria. They will actually make their own cultivating broth and a 12 chamber cultivation plate to grow bacteria from soil, household liquids, and much more. Parental help will be needed to grow the brother (water needs to be boiled) but this quite is a great introduction to the world of bacteria.